Looking for a great couples resort Jamaica? Jamaica is unique in that it has quite a few couples resorts. They cater to couples and romance fantastically well. We've listed 8 excellent couples resorts here. 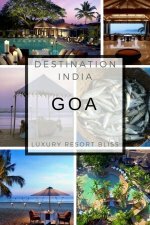 They are 5 or 4 star resorts, have great amenities and all receive great reviews from past guests. 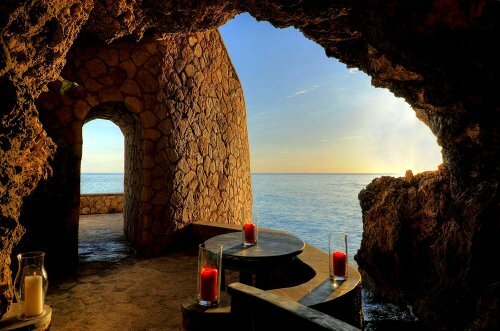 An all-inclusive beach front resort in Negril, Jamaica, this resort specializes in vacations for couples. Included are most meals, drink and water sports. Nightlife and shuttle services are also complimentary. This resort gets really excellent reviews from past guests - many of whom return often. 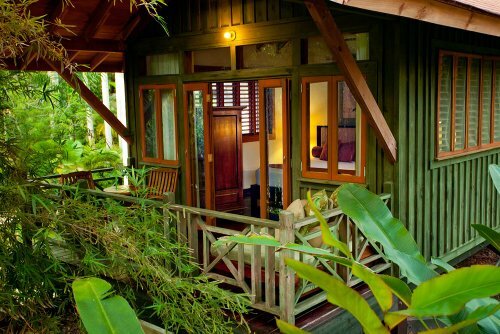 Located in Ocho Rios, this hotel's ambiance combines the allure of a '50s Hollywood hangout with tropical splendors. 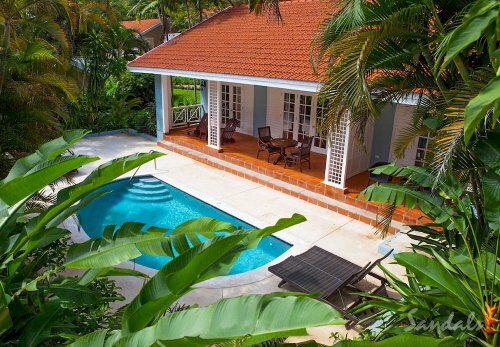 Sand, surf and the fresh-water pool overlooking the sea beckon guests to settle in and relax. Location: Inclusive 4 star village on a famous beach on Jamaica's North Coast. Amenities: like an all inclusive town with a square, 24-hour room service, restaurants, premium drinks, championship golf and tennis, sailing, snorkeling, scuba, nightlife, perfumed gardens, separate "au natural" facilities, and, of course, complimentary PC stations, adults spaces and more. Reviews: Guests adore the Spa which is compared to any of the best in the U.S., like the food and drinks, and staff are accommodating. AAA 3-Diamond Award winning super inclusive resort has 22 acres of tropical gardens. A few of the top resorts for couples near Montego bay. 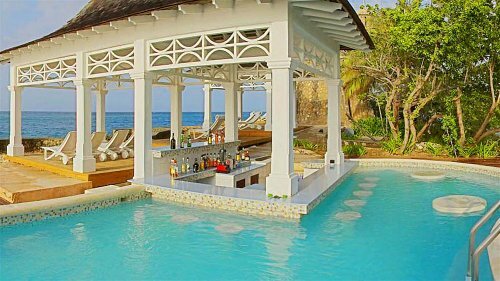 This resort is in Montego Bay on 26 acres of lush gardens fronting Jamaica's largest private white-sand beach. This is the first couples-only Sandals resort that started it all, and a popular all-inclusive for honeymooners. There are many activities including water sports and an excellent tennis facility. Highly recommended by past guests. 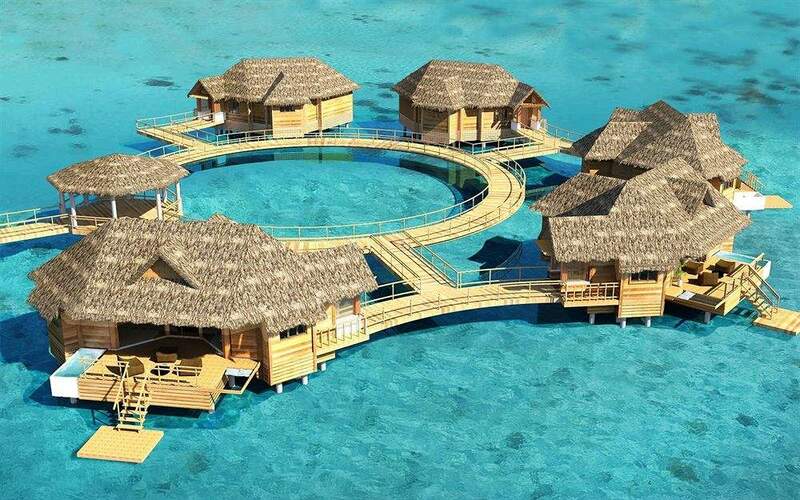 Sandals have also got their hands on an offshore island at Montego Bay next to Sandals Royal Caribbean. You can enjoy dragon boat ride there to experience the secluded beach, great tastes, end exceptional shows. This resort gets fantastic reviews and is slightly more upscale than the Sandals Montego Bay. There's more on Sandals Royal Caribbean below. 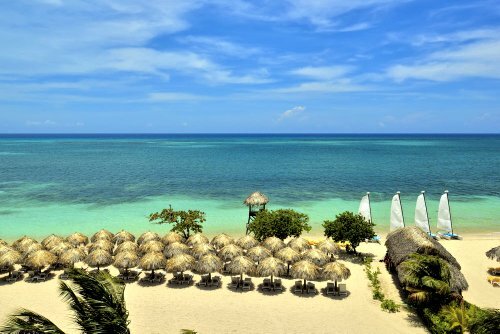 Located amid tropical gardens and white sand beaches, this all inclusive beach front resort is located in Negril, Jamaica. Jimmy Buffett's Margaritaville is close by. Included are meals and beverages. Complimentary land and water sports, evening entertainment and shuttle services are available. There are also complimentary daily scheduled activities such as glass-bottom boat tours and unlimited golf. 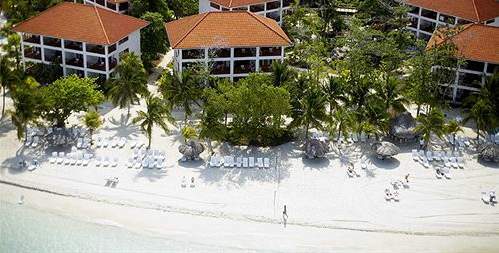 Couples Swept Away - Negril, Jamaica - Beautiful resort located on 7 mile beach. 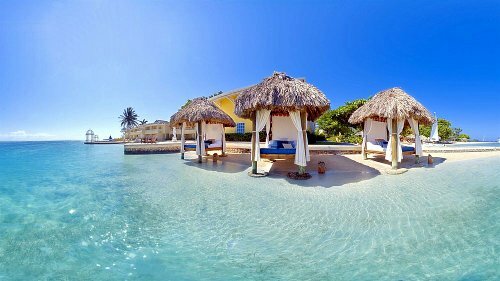 Located in Montego Bay, this resort has a private island with amenities on it (like a pool, bar, restaurant and a private beach). It's an intimate resort that receives great reviews from past guests. More information for Sandals Royal Caribbean of Offshore Island at Montego Bay. 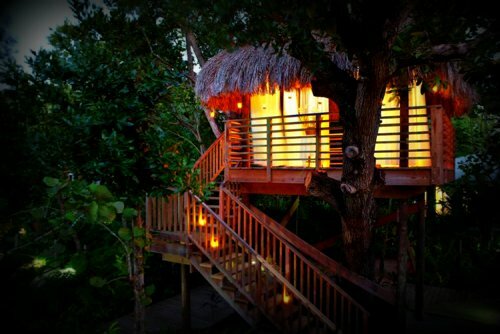 Having a private island for honeymoon sweethearts to escape to is sure to enhance the romance. The all-inclusive plan includes rooms, unlimited food and drink (premium-brand liquor) and continental breakfasts served in guestrooms. Outdoor recreation (many options) is also included. We should also mention that the zen-inspired spa is one of the best around. See Couples Tower Isles Special Offer & Reviews @ TA including up to $500 air credit while deal lasts. This resort is rich in history and has been the home of many celebrities for more than than the past half a century. That is a lot of happy all inclusive vacation stories. Immaculate 4.5 star couples-only resort that arises majestically from the cliffs with visitors with 150 rooms. This resort is a recent reward winner for romance and all inclusive. 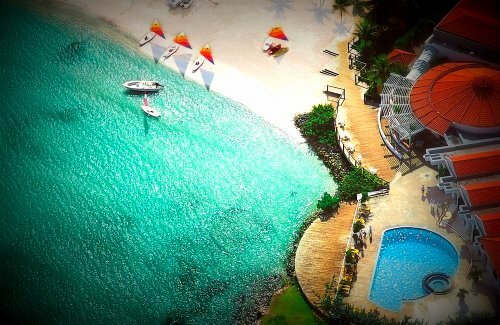 This resort in Ocho Rios has direct beach access, water and land sports, scuba diving, golf and airport shuttles. Past guests especially note the peacefulness and quiet here. Hospitality is also very good. Check the latest reviews here. 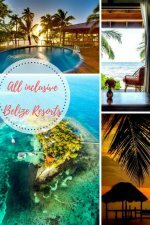 For more couples resorts, visit our main couple resorts page or couples only all inclusive resorts page. For more in Jamaica, check out our main Jamaica Resorts page and take it from there. You can also take a look at the Official Jamaica tourism site to help you decide which area you'd like to visit.